We are program, project, and commercial launch leaders focused on guiding the journeys of innovative medicines to patients in need, from the bench to the bedside. The journey of a novel therapeutic product to market takes years of work by several highly interdependent cross-functional teams. And it is us who are entrusted as stewards to see these journeys through to fruition. However, most of us did not start our careers in the biopharma industry aiming to become a program/project/launch leader — we stumbled into our current roles. Few of us were fortunate enough to have mentors, but the majority of us had to learn the subtleties and nuances of our trade experimenting along the way. The good news is, we are not alone. While our area of therapeutic focus, products, and the science behind them differs — our objectives and challenges are similar in many ways. We have come together to learn from each other, exchange ideas, compare notes, and to get to know each other better. Together, we aim to uncover what’s common knowledge in our field of work, or what should be common knowledge for all of us working in the industry. We hope by helping each other, we all will become better at succeeding in our individual endeavors. We intend to work across the functional divide in our industry and bring along peers to join our quest to discover insights from our shared experiences, and establish best practices for our profession. And this focus is at the heart of our affiliation with each other. 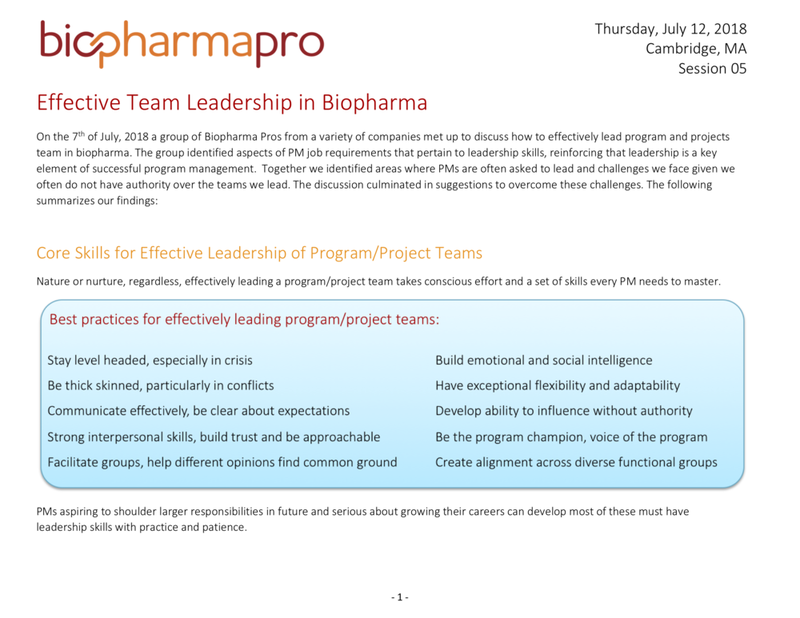 We aspire to be a community of shared minds and a trusted peer resource to all Biopharma Pro members, who wish to become effective leaders and drivers of desired business outcomes within their respective organizations. We host monthly sessions for the Biopharma Pro community. The discussion in each session uncovers insights on a specific topic, which culminates in a Best Practice. These best practices are then shared with our members on the community forum for further discussion and refinement. Check out our calendar for upcoming sessions. Can’t JOIN A SESSION IN PERSON? Join us online to access our knowledge base!